Taxis are a convenient means of transport in Jordan. Drivers are licensed and fares are generally regulated. Your flight arrives at the Amman Airport, you are through customs, you've bought your Jordanian sim card, and you walk through the doors to the outside concourse. 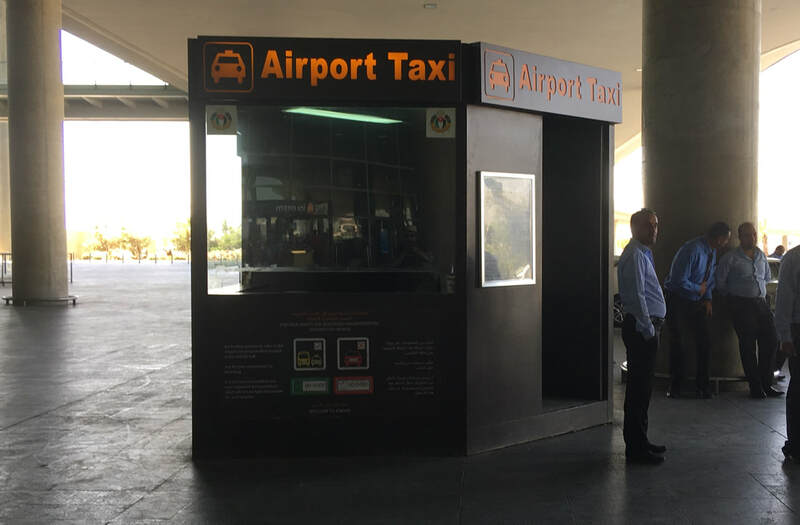 Ahead of you and slightly to the left you will see the Airport Taxi Kiosk. And on the wall is a large framed notice with taxi prices from the airport to most places in Jordan. Taxi drivers will approach you and will ask you where you want to go to. The Taxi kiosk man will also ask you and then he will write down the destination and price of the taxi ride on a docket and give it to you. You can choose a taxi and tell the driver where you want to go. He will already know the price that is written on your docket. The docket is not a receipt, it's more like a fixed quote. You pay the driver at the end of your trip. The taxi fare to Wadi Rum is not listed on the large notice on the Kiosk wall, but it is 100JD, the same fare as to Aqaba (same distance). The man will write down the destination and fare on your docket and your driver will know it. If there is any problem with the fare you can just show him the docket (which you keep) and he will honour it. Here is a photo of the taxi fares notice (current September 2017) showing taxi fares in Jordanian dinar (JD) from Queen Alia International Airport (just south of Amman) to other places in Jordan. The fare to Wadi Rum from the airport is 100JD. The same docket system is not operating in other parts of the country. So you have 3 options getting a taxi from Petra to Wadi Rum. 1. Ask your hotel in Petra to arrange one for you. Most hotels will arrange a reliable taxi that will charge a fair price and take you to Wadi Rum without detours or long stops. Check that the taxi will take you all the way to wadi Rum village and not only as far as the Wadi Rum Visitor Centre. 2. 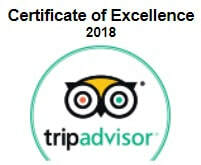 Ask us (Real Bedouin Experience Day Tours) to arrange a reliable taxi for you when you book your tour with us. The fare is 40JD, the driver will collect you from your hotel reception in Petra, and you pay the driver when you get out of the taxi in Wadi Rum village. 3. There is a third option which we do not recommend. Someone approaches you in Petra and says they will give you a half price fare to take you to Wadi Rum. This sounds good but has potential problems. The driver may not be reliable and may not even turn up at your hotel at the agreed time the next morning. If the driver does collect you he may not take a direct route to Wadi Rum but instead go to other places, maybe stop at shops, encourage you to go in and buy things. You will not know where you are and you may arrive finally at Wadi Rum hours after your tour has already started. This has happened before. And even if he does take you on a direct road to Wadi Rum he might refuse to take you beyond the Wadi Rum Visitor Centre, which is 5 kms short of Wadi Rum village.